WHAT CAN YOU EXPECT FROM BIOLYTE LABORATORIES? BioLyte Laboratories is a licensed pharmaceutical manufacturer that steps in right where you need us, to achieve a quality OTC product. With an emphasis toward manufacturing natural health and beauty consumer goods, we bring our industry expertise and relationships to the table for your first-run prototype or existing products — from formulation to production to packaging. We comply with client confidentiality for all formulation, manufacturing and packaging processes, adhering to a mutual non-disclosure agreement between BioLyte Laboratories and our clients. BioLyte Laboratories exists to enhance life through the power of natural botanicals and minerals. Our team is comprised of a product formulator, primary care clinicians, and production specialists. With our lab located in the Great Lakes Region, we’re rooted in a love for nature and active living spanning walkways, bike trails, and beaches. 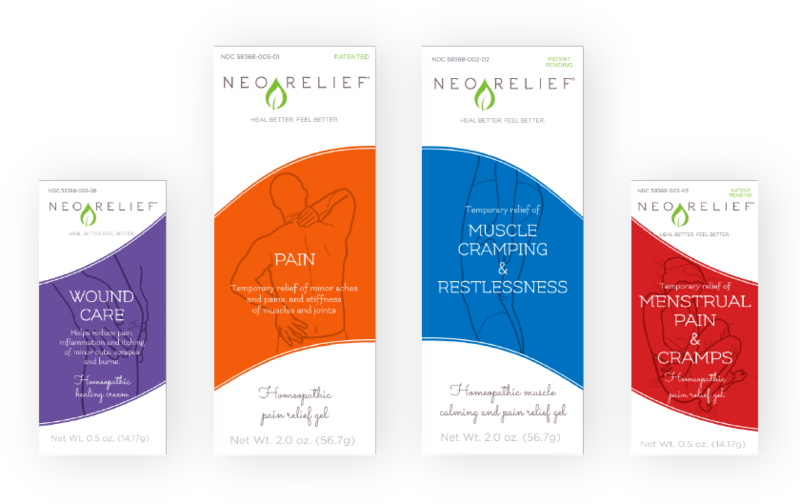 NeoRelief therapeutic gels and creams use specially formulated, active botanicals and minerals to provide gentle, alternative pain relief. We’d love to talk with you about your product or manufacturing needs. Use this form to get in touch with us. We will get back to you as soon as possible. Copyright 2018 BioLyte Labs. All rights reserved. Thank you for visiting our store. Your privacy is important to us and protecting your private information is our priority. Your information, whether public or private, will not be sold, exchanged, transferred, or given to any other company for any reason, without your consent, other than for the express purpose of delivering our product to you. You provide specific personal information during the purchase of product from our site. The information includes: your name, address, email address, telephone number, and payment information. We may gather additional personal or non-personal information in the future. BioLyte Laboratories, LLC collects and uses your personally identifiable information to deliver the products you have requested. BioLyte Laboratories may also use your personally identifiable information to inform you of other or future products available from BioLyte Laboratories. From time to time we may send you additional information about our products in special promotional emails. If you do not wish to receive these special mailings, please make sure to check the box that says “Check this box if you do not wish to receive special promotional mailings”, which is located at the bottom of the page where you fill in your billing and shipping addresses. Non-personal information gathered may be used to improve the design and content of our site, and to analyze site usage. The only time we may disclose personal information is in response to a legal process, e.g. in response to a court order or subpoena, or in response to a law enforcement agency’s requests. Also in response to a charge-back inquiry from our merchant bank about your payment for products. This policy was last modified on 11/11/2013. The following terminology applies to these Terms and Conditions: “You” and “Your” refers to you, the person accessing this website and accepting the BioLyte Laboratories Terms and Conditions. “Company,” “Our,” “We” and “Us,” refers to BioLyte Laboratories, LLC. “Party,” “Parties,” or “Us,” refers to both you and ourselves. All terms refer to the offer, acceptance and consideration of payment necessary to undertake the process of our assistance to you in the most appropriate manner, whether by formal meetings of a fixed duration, or any other means, for the express purpose of meeting your needs in respect of provision of the Company’s stated products or services, in accordance with and subject to, prevailing United States Law. Any use of the above terminology or other words in the singular, plural, capitalization and/or he/she or they, are taken as interchangeable and therefore as referring to same. All payments are due upon order processing. If a payment is not received or payment method is declined, no product will be shipped. We accept Visa, MasterCard, American Express, Discover, and PayPal. Please be aware that the name must match exactly the name on the credit or debit card, and the billing address must be where the credit or debit card statements are mailed, or the card will not process and the order will not ship. Be sure the shipping address is correct if it differs from the billing address. It is important to us at BioLyte Laboratories that you are satisfied with our products. If you are not completely satisfied with the product, you may return it for a full refund of the purchase price (less shipping charges) or exchange within 30 days from the date of invoice/order. Please allow 2 weeks for the processing of returns. Return the unused portion of the product, along with a note stating the reason for return. Once an order has been submitted, it cannot be added to or cancelled. Any add-ons must be submitted as a separate order. Please see our refund policy above. Unless otherwise stated, the products featured on this website are only available within the United States of America. All advertising is intended solely for the United States market. Redistribution or republication of any part of this site or its content is prohibited without the written consent of the Company. You may not create a link to any page of this website without our prior written consent. If you create a link to any page of this website you do so at your own risk. We do not monitor or review the content of other websites which may be linked to or from this website. Opinions expressed or shared, or material appearing on such websites are not necessarily shared or endorsed by us, and this Company should not be regarded as the publisher of such opinions or materials. Please be aware when you leave our site and read the privacy statements of these sites. We are not responsible for the privacy practices or content of these sites. You should evaluate the security and trustworthiness of any site connected to this site or accessed through this site before disclosing any personal information to them. This Company will not accept any responsibility for any loss or damage, howsoever caused, resulting from your disclosure to third parties of personal information.